There are several designated off-road riding areas designed for motorcycles and all-terrain vehicles around Lake Tahoe. Whatever area you choose, enjoy the ride knowing you are free to escape and explore without getting hassled. All California riding areas require an OHMVR sticker and spark arresting silencer or end cap on the exhaust. 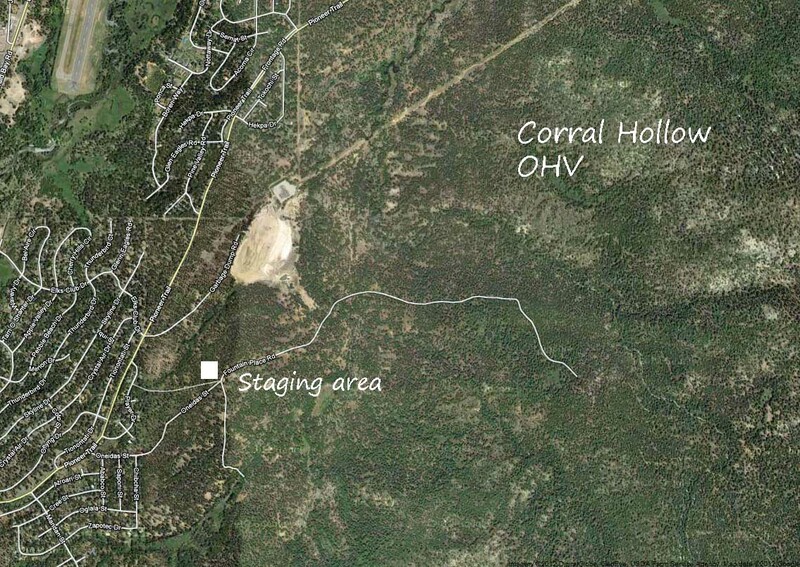 · This area has an 8 mile loop trail that crosses some fire roads. Motorcycles only, due to the narrow trails. There is ample parking for this free riding area. The staging area is on Hwy. 89, 3.7 miles north of Hwy.80 on the left. It’s easy to find and quick to get too. · This area is a dusty MX area with jumps and berms. All types off OHV’s can play here. Take Hwy.89 north for .5 miles from Hwy.80. Left on Prosser Dam Road and turn right at the fork in the road and the pavement ends. Continue .2 miles to the Prosser Pit OHV sign on the right. Proceed on this dirt road for .6 miles. 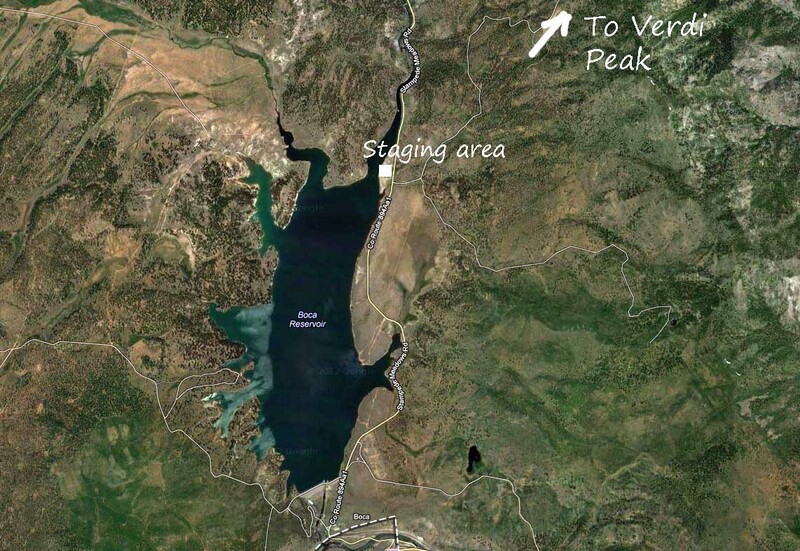 · The area to the west of Boca Reservoir is U.S. Forest Service Land. 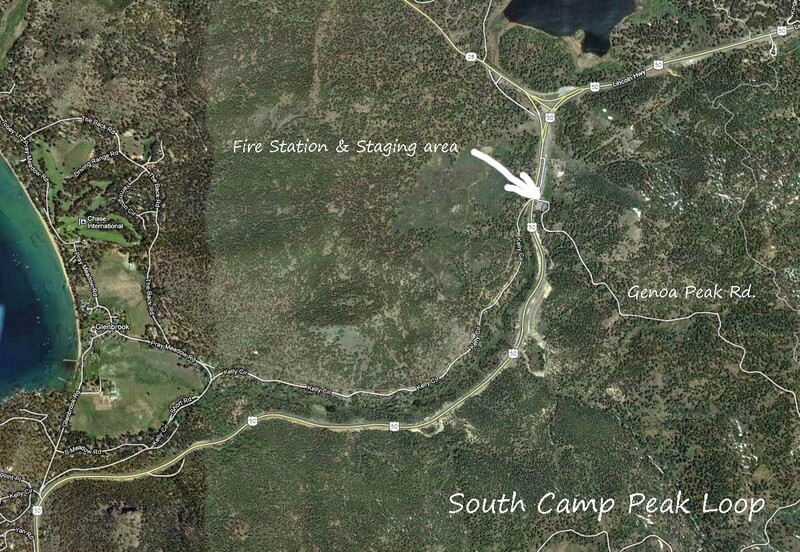 This area provides camping areas and free parking areas. The riding is primarily on fire roads. There are some good views as you climb up the mountain. You can ride all the way over the mountain to Prosser Reservoir. Take the Hirschdale exit (#207) from Hwy.80. Turn left at the stop sign and travel .5 miles to the Boca Dam road and turn left. 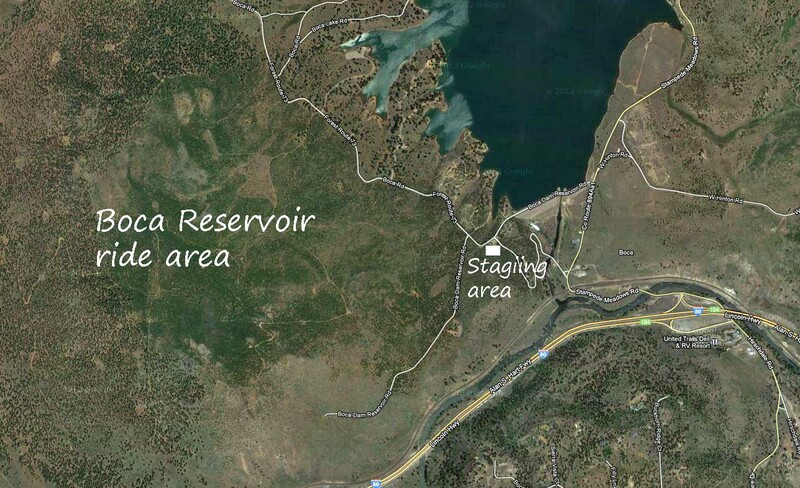 The staging area is just across the dam on your left. 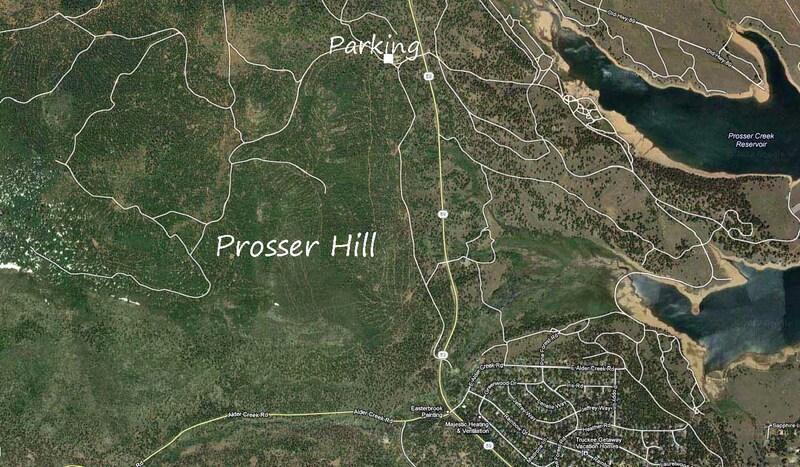 · This is a long fire road (NF-72, Boca Springs Road) to the top of Verdi Peak. Watch for some singletrack side areas off this road. The view from the top of Verdi Peak is great. There is camping in the area, and swimming in the lake after a hot ride. Take the Hirschdale exit (# 207) from Hwy. 80 and turn left at the stop sign. Travel 2.5 miles to the Boca Campground on your left. Boca Springs Road will be on your right. You can also park along Boca Springs Road. · Fire roads and singletrack trails surrounded by Stampede, Boca and Prossesor Reservoirs. There is camping in the area. The riding is free. From Hwy.80, go north on Hwy.89 for about 5 miles. Turn right on Hobart Mills Road. Turn left at the gravel plant and go north on Old 89. Veer to the right two times and you will be on Hobart Mills Road again. Turn left on Dog Valley Road. This road will take you to a sign kiosk and parking area. 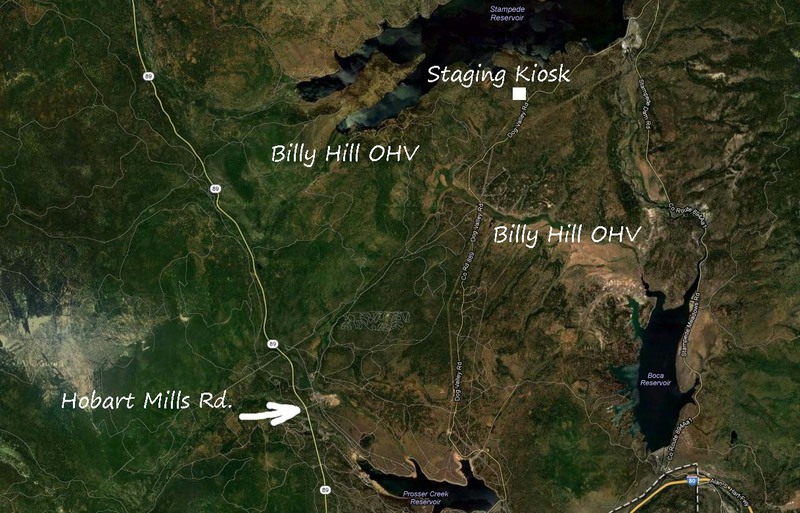 You can choose to park and start riding from anywhere near Dog Valley and Hobart Mills Road. · This area has fire roads and ATV trails in the Tahoe National Forest, Nevada. Some primitive camping is available. The views of Lake Tahoe are spectacular. This area is accessed from Hwy. 50 near Spooner Lake Junction. Look for a fire station on the east side of Hwy. 50 near Spooner Junction. The trailhead is behind the fire station on Genoa Peak Road. · Fire roads and singletrack riding. Some trails dead-end to private property and mountain bike trails. Watch for mountain bikes! This area has fewer rocks than most Tahoe area trails. From Hwy. 50 take Hwy. 207 (Kingsbury Grade) for 11.5 miles and turn north on North Benjamin Drive. North Benjamin turns in to Adria Drive. Follow Adria Drive to the staging area with Genoa Peak Road/Castle Rock Road. 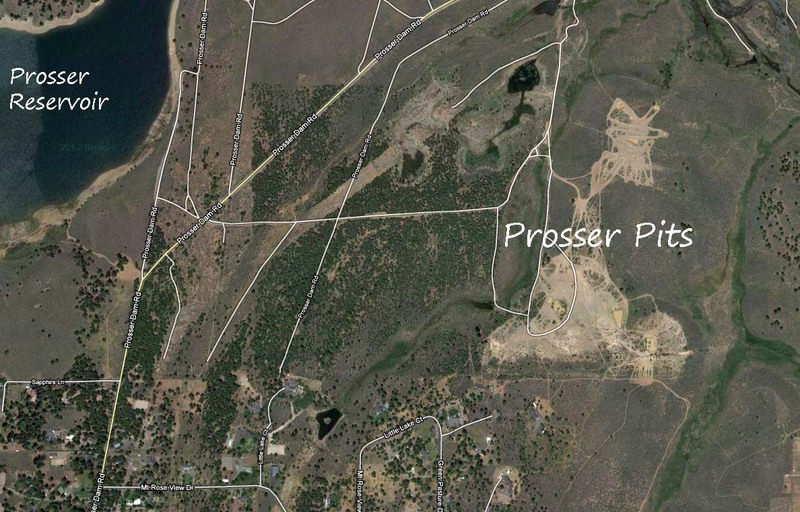 · This small area has trails, roads, large rocks, and a MX sand pit with a hill climb. The ride up the hill offers some panoramic views. This area is close to town. Perhaps a quick ride after work? If you mess up, Barton Memorial Hospital is very close. 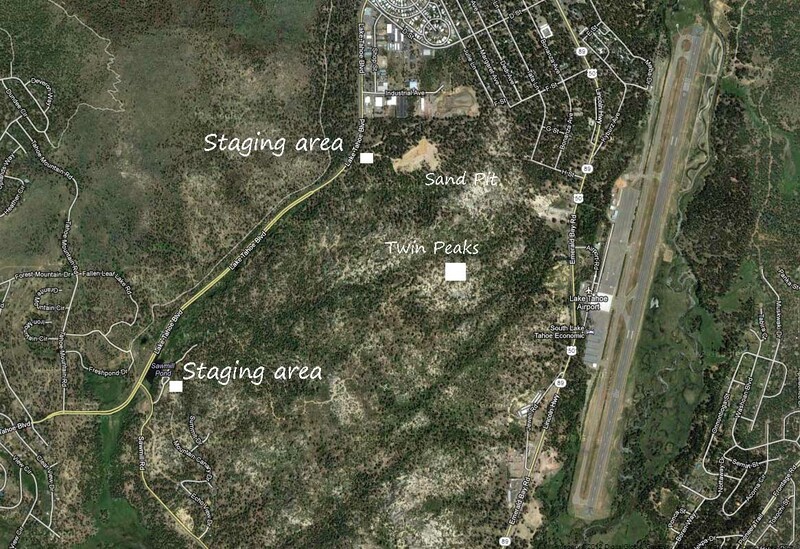 The two staging areas are accessed from Lake Tahoe Boulevard. 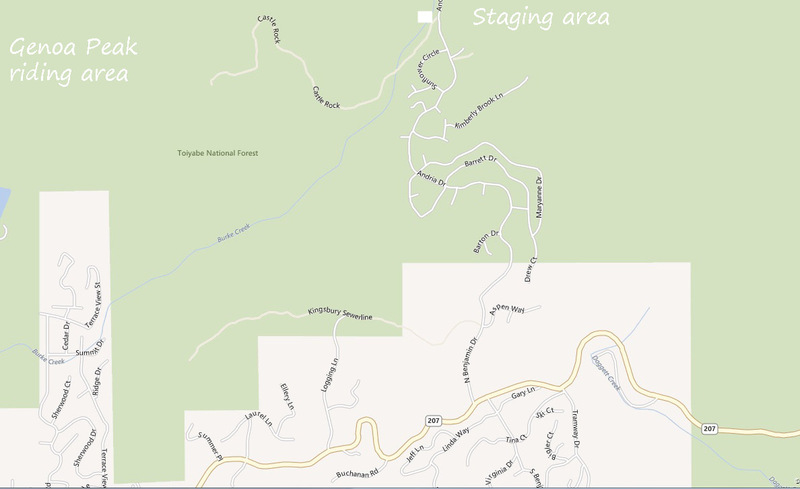 One place to stage is off Sawmill Pond Road, then left to Twin Peaks Road. The second staging area is north on Lake Tahoe boulevard just before Industrial Avenue. 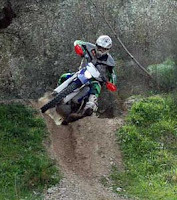 · Relatively small area to ride, but the trails are excellent. Watch for mountain bikes on the wide hard packed trails. From Hwy. 50 take Pioneer Trail. Turn south on Oneidas Street and proceed through the gated entrance. Continue on for .5 miles to the main staging area. The free roblox cheats is a very amazing tool for the roblox robux game to play free as it gives to generate free robux using obux generator for free. Equestrian summer camp offers many benefits to a child above learning to ride a horse. This article looks at choosing the right outdoors deals, apparel and equipment for riding camp to ensure your child has the best experience possible.